Customers are giving their orders and collecting their food at this Jollibee restaurant in Vigan, Ilocos sur. 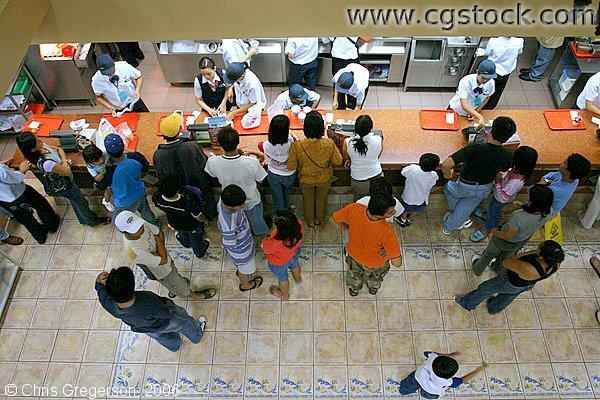 This is a very popular fast food restaurant here in the Philippines. Service crew is properly uniformed and the counters are well designed.